A world beyond our own. An inescapable quest. One woman’s profound journey through the mind, the soul, and the heart. Gabrielle pursues her dance career with a determined passion. But moving to New York brings on strange visions of a world she can’t comprehend. As dark entities trail her through this alternate plane, Gabrielle connects with a compelling land-keeper who welcomes her as one of his own. With each trip to the unseen world, Gabrielle travels deeper into her own hidden fears. When a tragic accident and a haunting woman heighten the danger of her trips, Gabrielle must learn to surrender to save the man she loves. 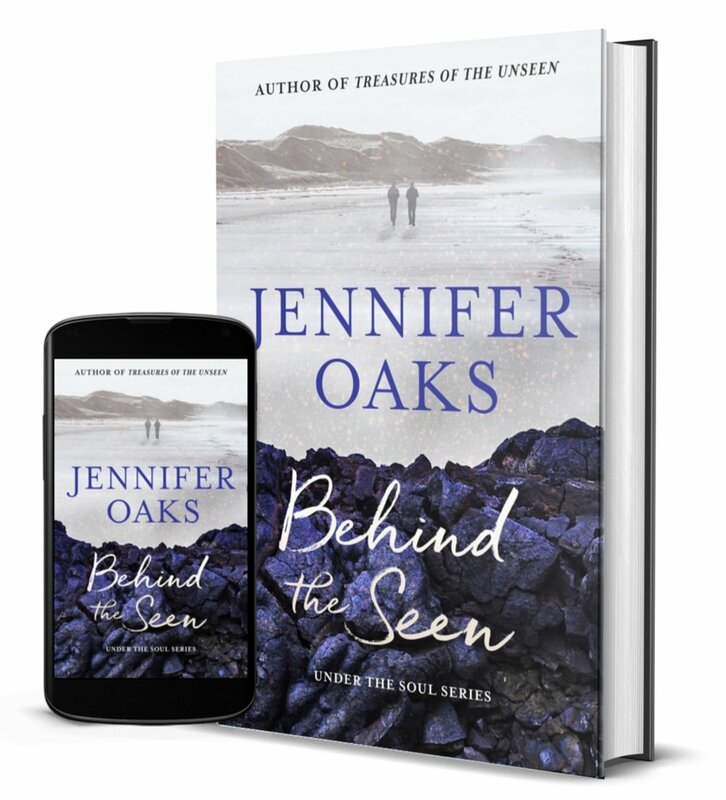 Behind the Seen is the second book in the Under the Soul series of visionary fiction novels with a dash of unearthly romance. If you like mesmerizing twists, journeys of the soul, and stories with deeper meanings, then you’ll love Jennifer Oaks’ spiritual tale. Explore Behind the Seen to discover the enchanting realm of the soul. Love will shed light on your darkest shadows. In the hopes of creating a better life for herself, Gabrielle left Montreal to continue her dancing studies in New York. Waiting to find work, she begins to travel to the world beyond our reality, where she meets one of the land-keepers. Intrigued by her presence on the land, he will try to unravel the mysteries surrounding her arrival. But Gabrielle's multiple trips to the unseen world will prove to have heavy consequences on her, as well as on the land and their habitants. From the desire to explore this new territory and understand its connection to our world, Gabrielle travels deeper into the unseen. But forced to make the journey back alone, old ghosts come to haunt her. To save the man who has welcomed her as one of his own, she'll have to face her deepest fears. When courage is needed, will she find the strength to face her darkest shadows and come back to the physical world without someone to love? When her new home takes the shape of the arms of a stranger she cannot live with, letting go and surrendering becomes the only way possible. But will she do it?